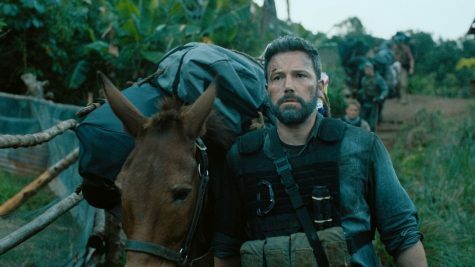 “Bao” itself, means “bag” in Mandarin. This dish is simply a steamed rice flour bun that holds vegetables and meats like a bag. 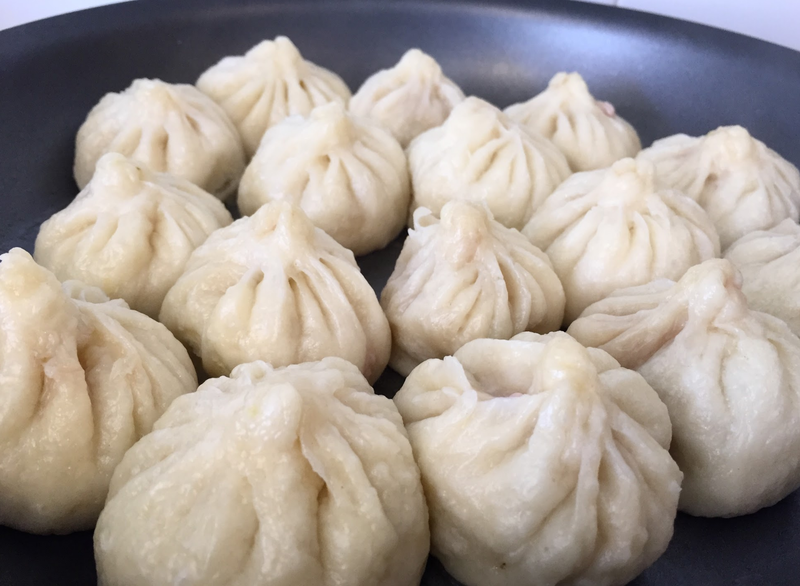 Whereas dumplings and potstickers have a thin skin over the filling, baozi have a thicker, bread-like covering and fluffier texture. Baozi can be eaten for breakfast, lunch or dinner. This is traditional dish has been recorded in Chinese history since the third century A.D., which is over 2,000 years ago. Youtiao is a long, thin and unsweetened piece of dough fried in oil. However similar they sound to donuts, youtiao are plain, and thus are often dipped in soy sauce or soup. In China, youtiao is enjoyed for breakfast. Its airy texture easily absorbs the soy milk or porridge it is usually accompanied with. Youtiao can also be used to make sandwiches with shaobing (a type of Chinese bread). Although fungi are used in a variety of Chinese cooking, this dish features wood ear fungus as a cold side dish. Dried wood ear is sold in grocery stores, but when soaked in water for a few hours, the fungus has a jelly-like, chewy texture. 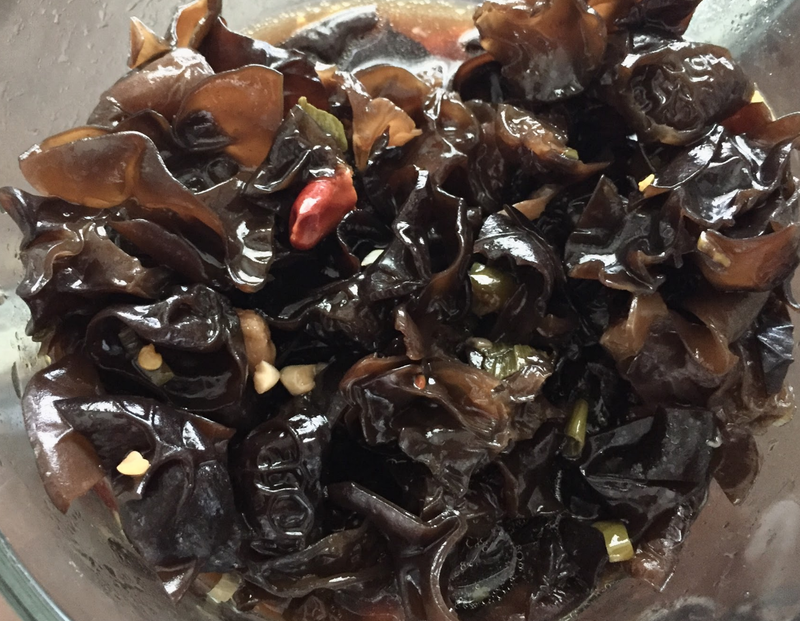 Wood ear itself is almost flavorless, so this dish pours soy sauce, black vinegar, pepper and red chili over it. Rich in Vitamin B-2, wood ear fungus is celebrated to benefit the liver and skin. Eating wood ear fungus exemplifies the Chinese tradition of combining medicine with food in order to live a long and healthy life. 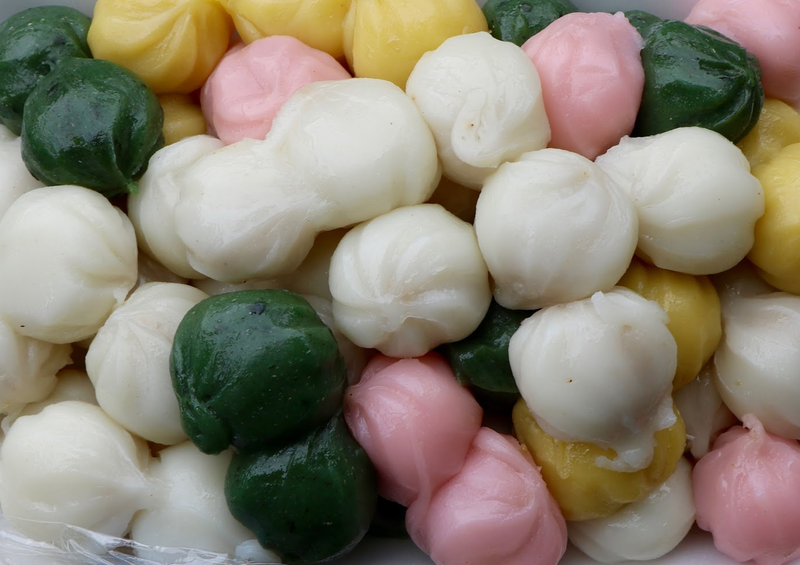 Tang Yuan and Yuan Xiao is the Chinese counterpart to the Korean tteok and Japanese mochi. 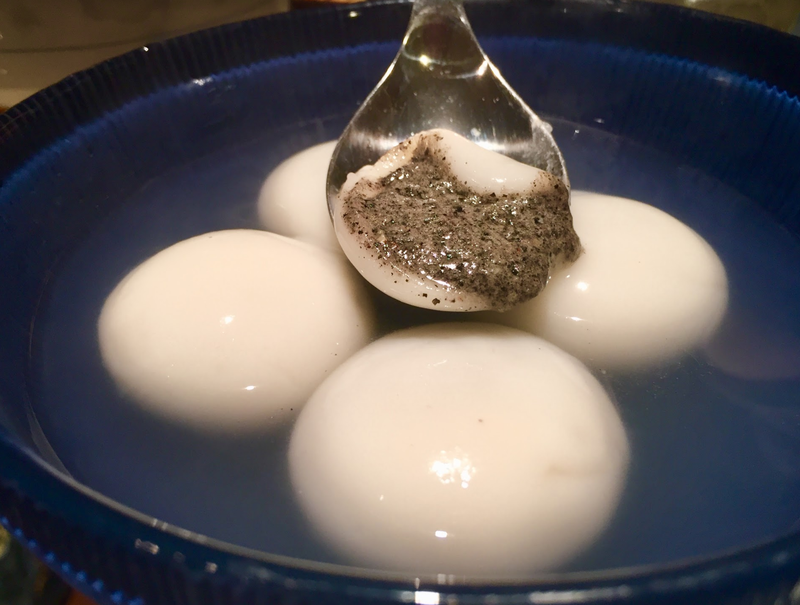 This soft rice ball has a sweet, liquid filling of black sesame or peanut paste and is served in hot water. Tang yuan are made just like dumplings are; the ready-made filling is placed into the rice cake, which is molded to enclose the filling. Often tang yuan is used in a dish called Jiu Niang Tang Yuan, where the tang yuan is stewed in osmanthus flowers and sweet, slightly alcoholic fermented rice wine with rice grains. A variation of this is Yuan Xiao, which is composed of the same ingredients but made in a different fashion. A solid sesame filling is dipped in water then placed into a bowl of rice flour. Upon shaking the bowl, the rice flour sticks to the filling. This process is repeated dozens of times until the rice layer is thick enough for boiling. Because of its round shape, yuan xiao is traditionally eaten on the winter solstice and 15 days after the lunar new year on a full moon to symbolize union. Ba Bao Fan, translated into English, literally means “Eight Treasure Rice.” Why eight? The Chinese are a fan of wordplay, in which the Chinese character for eight (八, or in pinyin ba) rhymes with that of prosperity (发, or fa). 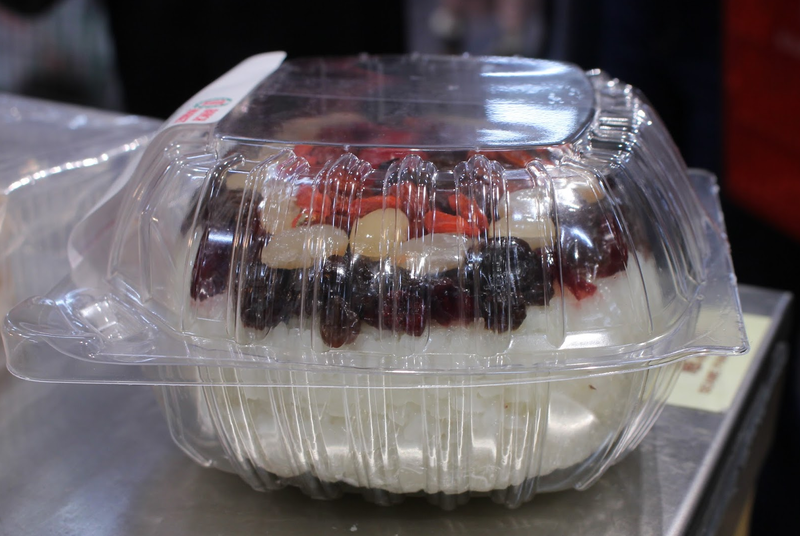 This dessert is a dome of sweet, sticky rice served cold and embellished with dried jujube dates, goji berries, lotus seeds and a center of red bean paste. When people think of Japanese food, images of sushi platters, tempura and bowls of edamame are conjured at the words. However, despite the significance of sushi and tempura as traditional Japanese dishes, there is much more to Japanese cuisine. 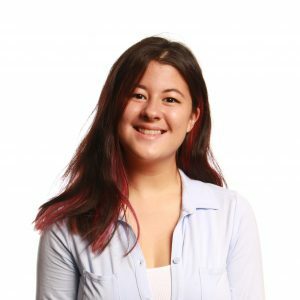 I went to Little Tokyo in L.A. to taste the urban Japanese snacks available in a little grocery store. The store was situated on one of the main walkways of Little Tokyo and was nestled in between a honey-themed coffee shop and one of the many Japanese lifestyle stores that populated the area. There, I bought a few items in their ready-made meal section and tried them out. The first item was Goma Wakame. This is a salad consisted of hydrated seaweed, sesame seeds and tart vinegar dressing. It was crunchy and slightly sweet, but the sweetness was balanced well with the sesame and natural salt of the seaweed. 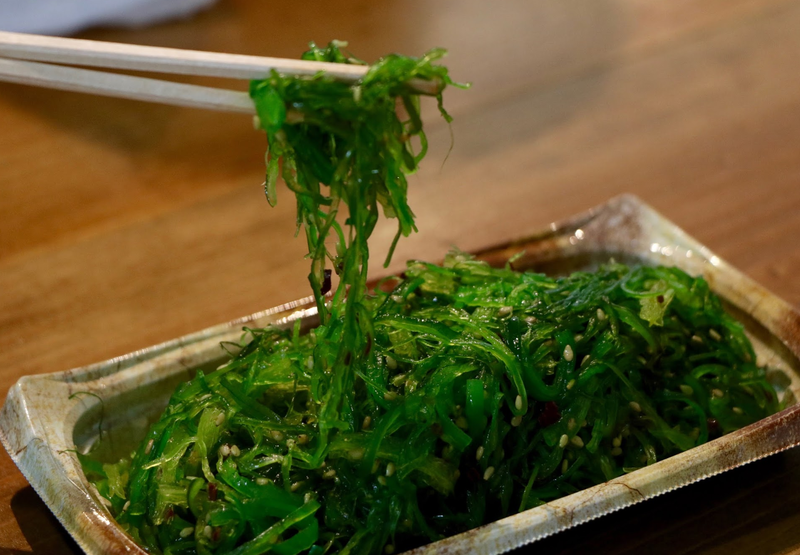 While it is difficult to say whether it is a traditional Japanese dish or one of the many dishes adopted into general Asian culture, seaweed is definitely an integral component of Japanese cuisine. Japan uses seaweed in many of their dishes, such as sushi, miso soup and soup stocks called dashi. The island uses over 20 species of seaweed in its cuisine! Squid tentacle karaage is seasoned fried squid. 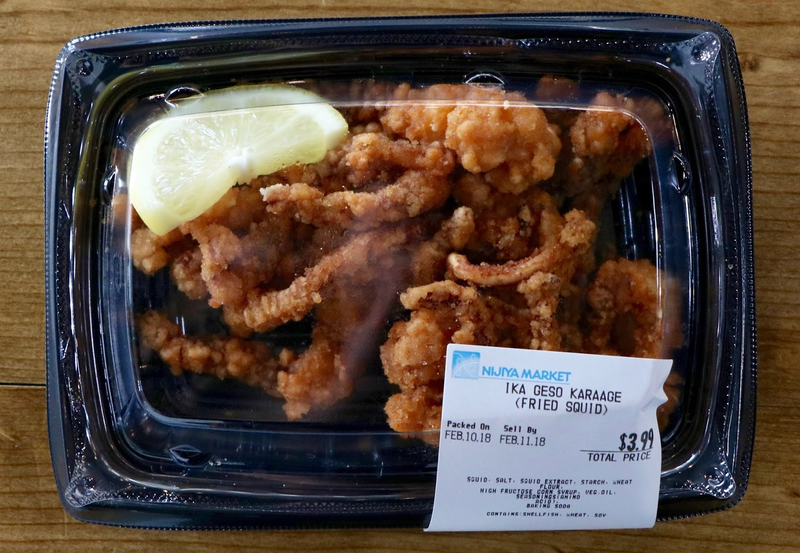 Karaage is a major aspect of Japanese cuisine, most prominently in areas such as the birthplace of the dish, Usa, and the “karaage mecca”, Nakatsu. Karaage has become the byword for Japanese-style fried chicken. Chicken is used in most karaage dishes due to the increased number of chicken farms in Japan following World War II. However, the term karaage can apply to anything from fried vegetables to fried fish. Takoyaki, a ball-shaped street food that usually consists of diced octopus surrounded by a wheat-based batter. Its dumpling cousin, akashiyaki, an omelet ball containing octopus, is said to be the original inspiration for the dish. Due to its vast popularity in Osaka and now, in recent years, Tokyo, takoyaki is offered with a diverse variety of both conventional and unique seasonings, from Japanese Worcester sauce to pickled ginger. Said vast popularity has made the demand for takoyaki in Japan higher than ever, and as a result many new takoyaki shops have popped up in not only Osaka and Tokyo but all over the country in the past 20 years. The takoyaki I tasted in Little Tokyo was oily, rich and savory. Favoring a more traditional flavoring, it was a tasty treat that sported soft and delicious octopus. Like many takoyaki shops in Japan, the shop’s large window showed off the large pan, which contained half-spherical dips in the metal to house the batter. 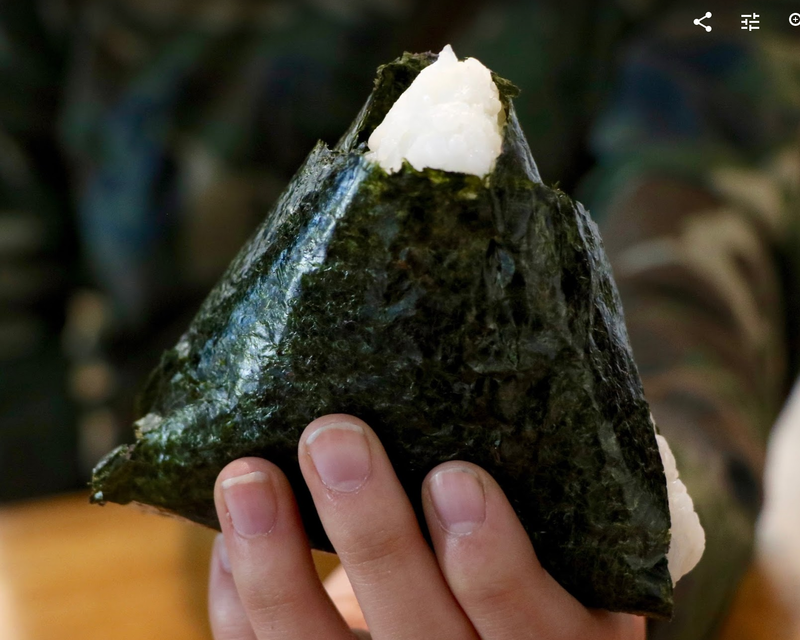 Onigiri, a popular snack in Japan are typically shaped into triangles, wrapped in a type of seaweed called nori. They usually contain some form of stuffing, from salmon to soy sauce-soaked bonito flakes to pickled plums. The rice balls are widely regarded as “the Japanese soul food”, and have been part of Japanese culture for what is estimated to be 2,000 years. The onigiri I tried was wrapped in an elaborate plastic sheet that included Japanese instructions. The rice provided a nice balance with the salty dried salmon filling, and the nori kept my hands from getting sticky. The cuisine of Japan contains dishes that are closely related to their culture and history. In fact, there are specific customs and manners to be observed when eating and preparing many Japanese dishes. 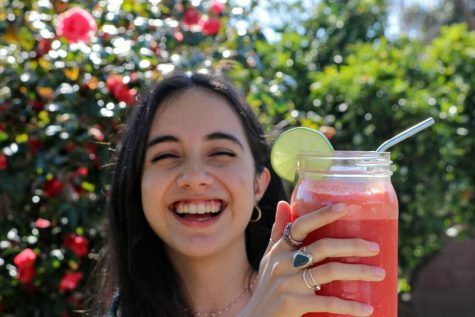 In addition, Japan is known for their incredibly healthy food. So indulge in Japanese culture sometimes and realize there is a lot more to Japan than just sushi. 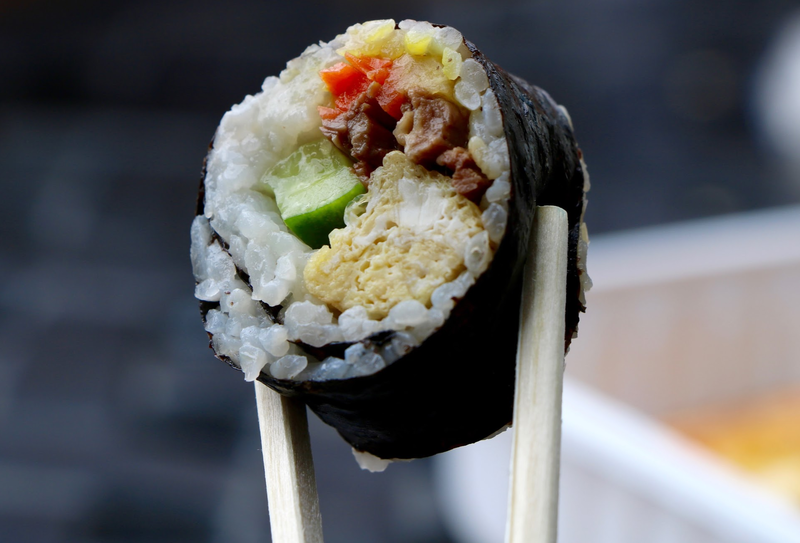 Gimbap is a seaweed rice roll filled with various ingredients that serves as a very popular snack in Korea. Although strongly resembling a sushi roll and commonly misinterpreted to be so, kimbap is very different in the ingredients used, ranging from beef to fish cakes to vegetables and many more. The word gimbap literally translates to dried seaweed (gim) rice (bap), hence the physical composition of ingredients covered by rice and wrapped with dried seaweed. 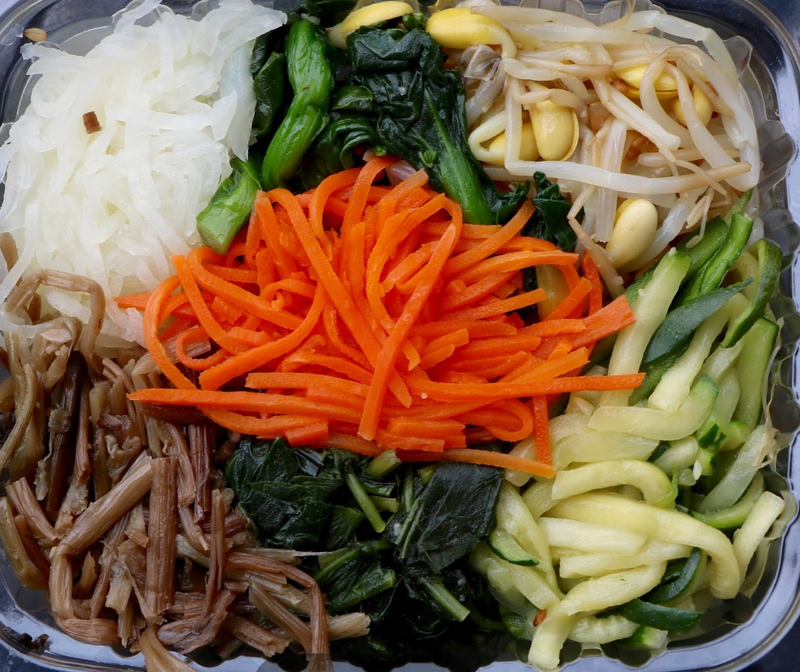 Japchae is a traditional Korean dish composed of stir-fried noodles mixed with meat and assorted vegetables seasoned with a soy sauce and sesame oil-based mix. 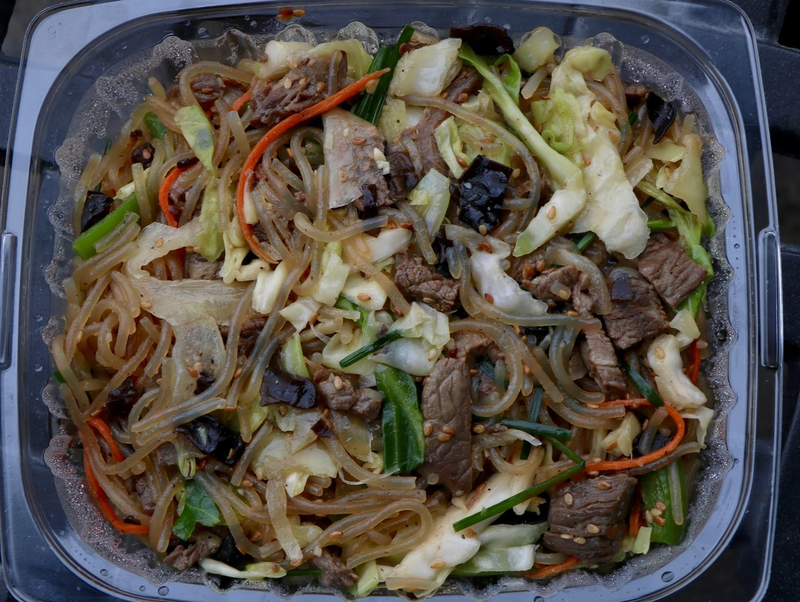 Although japchae may seem like your ordinary stir-fry noodle mix, the noodles used are a type of cellophane noodle rather than the typical dough of other types of noodles. 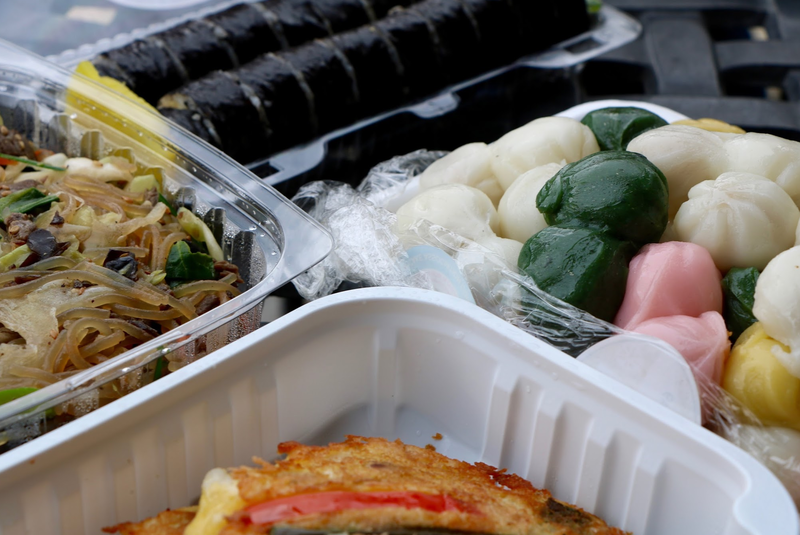 Japchae has been around long in Korean history and is now used as a typical traditional celebration dish on occasions such as birthdays, weddings and holidays. Bibimbap is a very popular and common Korean dish which translates directly to “mixed rice.” This dish is composed of assorted and seasoned vegetables and some sort of meat, usually beef, on top of a bed of rice and mixed together with gochujang, a Korean chili pepper paste. Common ingredients may include spinach, cucumber, carrots, mushrooms, beef or pork and it is usually topped with a fried or raw egg. 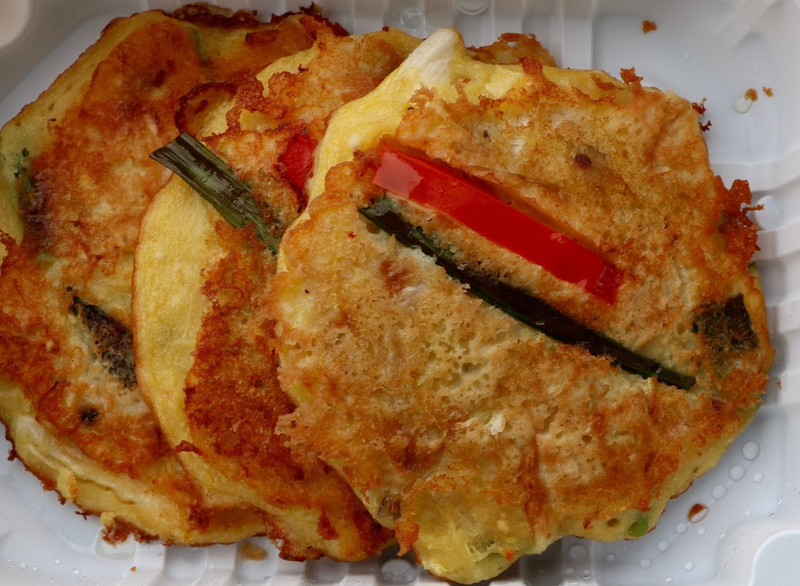 Bindaetteok is a type of Korean mung bean pancake with various ingredients, pan-fried to give a crispiness to it. Typical ingredients in the pancakes may include mung beans, kimchi, some sort of meat, egg and numerous seasonings. However, everybody makes it to their own preference using variations of ingredients and seasonings. 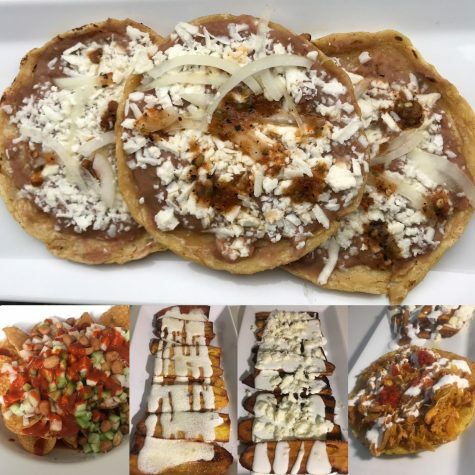 Bindaetteok and Korean pancakes altogether are a major part of Korean cuisine, stemming from almost ancient times in Korean history, making it a very traditional and popular dish to be served on special occasions. Tteok is a very broad class of Korean rice cakes, also central to Korean cuisine. There are countless variations and types of tteok, some serving as desserts, meals and even simply snacks. 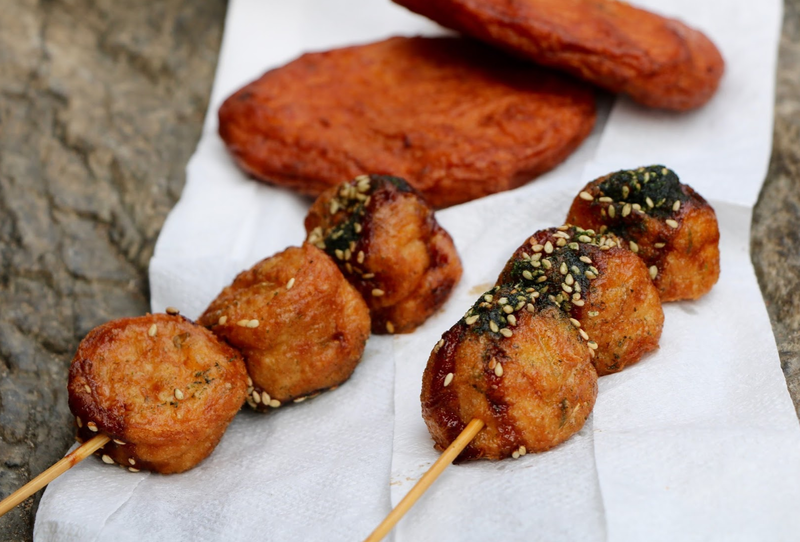 One popular type of tteok is filled with sugar and sesame seeds, typically served as a dessert or snack. Tteok is also a very traditional Korean dish and is essential to all special occasions or celebrations. What makes tteok so unique is the numerous variations of it and therefore the many potential uses of it on all occasions.